The small midnight black WPC-1ORB Wheeled Production Case from Porta Brace is made for transporting all kinds of heavy loads for studio, audio, video and film equipment. The cases are designed to be used for handling gear on location as well as transporting apparatus to the job site. They are constructed of a strong ridged interior frame covered with 1000 denier Cordura nylon fabric, with padded protection all around. Box Dimensions (LxWxH) 23.0 x 13.0 x 9.5"
WPC-1ORB Wheeled Production Case (Small, Midnight Black) is rated 5.0 out of 5 by 1. Rated 5 out of 5 by Anonymous from Top bag for dslr video gear Ideal for use on aircraft travel, and has many compartments and a divider kit to customize your gear. Great compact bag for Dslr bodies, lenses, LCD screens, laptop and all other smaller items. Comes with light panel for dark / low light scenarios. The wheels of course are a bonus, I am able to stack another runner bag on top of this. Porta brace is the zacuto of bags, you get what you pay for. 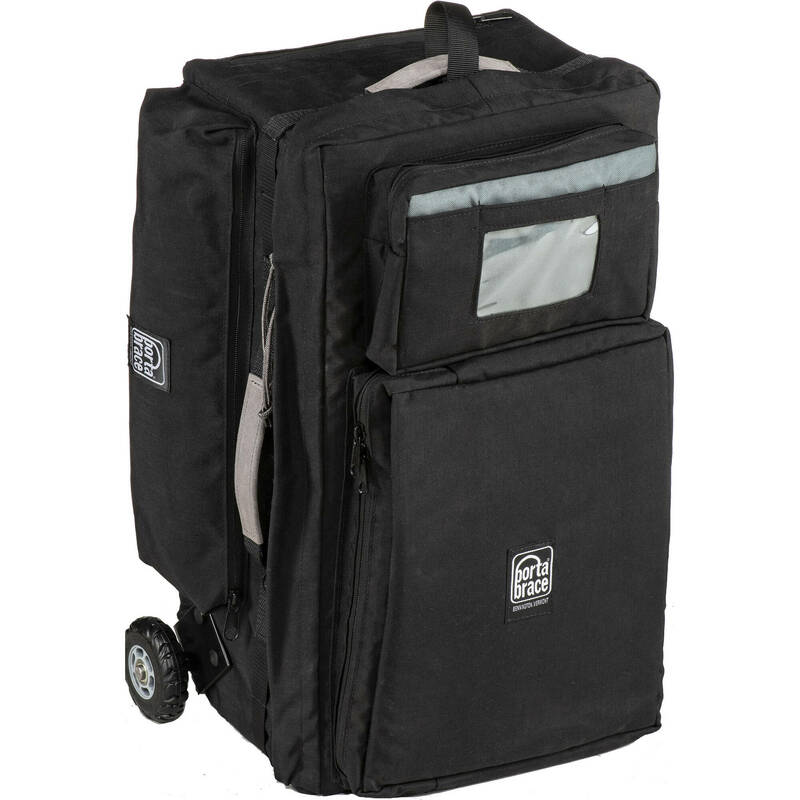 I was looking at getting a hiker hk-2 and was swayed to this due to the extras like light, wheels and more usable compartments.